To keep an entire manufacturing system working as it should, every tool and part must be well-maintained. 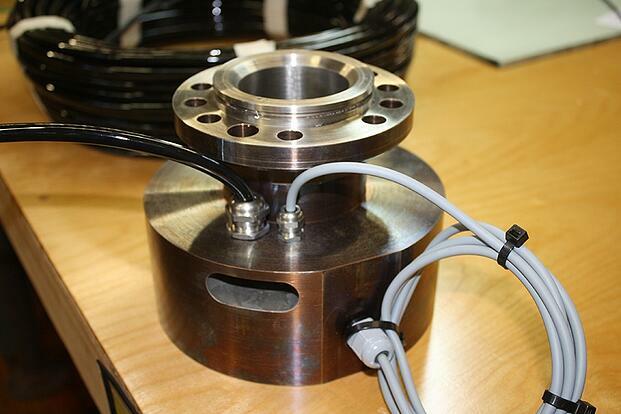 Whether using torque analyzers, load cells, or other measurement tools, it is important to know how to manage and care for these instruments. Perform regular inspections of the system and perform the following tasks on all parts. Adjust Alignment: If one part is not lined up as it should be, it is important to recalibrate and adjust accordingly. You will need proper measuring tools to do this correctly. Calibrating an instrument simply involves comparing one correct instrument to the one your are fixing. You can use that as a benchmark for all of the others. Keep It Clean: Cleanliness is also key to keeping all moving parts performing their jobs correctly. At the end of the day, be sure to remove all debris and oil off the sensor. Also take the time to train all workers and employees in proper cleaning methods. Practice Proper Storage: When your tool is not in use, take care to properly store it away. This could mean disassembling it until you need it again, leaving it on a sturdy surface, or covering it with a tarp, depending on the size and location of the tool. Watch For Corrosion: Excessive rusting can cause a machine part to wear down even faster. If you are unable to remove corrosion on your own, consider hiring a professional or replacing the part entirely. Also be sure to keep moisture away from the tool as much as possible, preventing this in the first place. Know When To Replace: Remember that sensor maintenance and cleaning only go so far. If you find yourself having to realign or repair a tool more often that it is worth, it is time to replace it. Check the tool's warranty before you order a new model. The best way to make a your sensors run well is to involve all of its users in its care. Also remember to hire a professional for a full inspection periodically, as they will point to any significant features that need improvement.